According to a survey, beauty parlor business in Bangladesh has grown by 35% in the country in the last five years. But, the total growth of the cosmetics industry is 60%. Also, it’s forecasted that the beauty industry will grow twice as fast as the Indian markets in the years to come. When you ask about what the beauty industry covers the answer is beauty products, the establishment of beauty parlors, salons, wellness center etc. As there are plenty of opportunities, the Salons or parlors are definitely a promising business. Especially, it’s for those who play a major role in this industry as the women entrepreneurs. This is because a lot of customers be it men or women are using beauty services and this made it one of the profitable small businesses. Beauty parlor business in Bangladesh is one of the widely spread one in the beauty industry. There is a good chance, especially; women entrepreneurs can start the business with some simple efforts. Although there are huge availabilities of the beauty parlor in Bangladesh, it’s one of the booming businesses and attracts customers of most age groups. That’s why beauty parlors are a hit and widely used, from adolescent girls to women of all sections. Also, in the sense of comprising too many factors that complement and aid in beauty or natural treatment, they’re comprehensive. Besides, as there are a lot of entrepreneurs in this industry, you must do something special and well-planned. 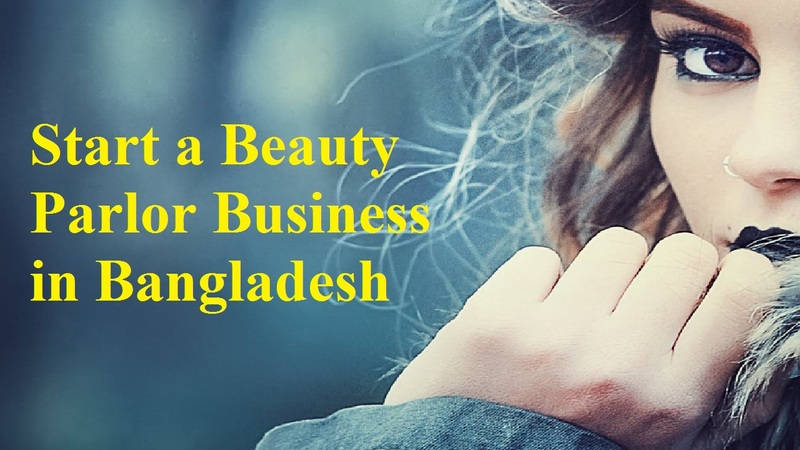 When starting a beauty parlor business in Bangladesh, there is a lot to think about. Although it’s extremely rewarding and great fun, it involves a great deal of hard work, planning, and market research. Moreover, depending on what aspect of this business you would want to take up, a beauty parlor business can be categorized into different business types. That’s why you can set it as a part of the service or the whole package. And you would offer to the customers depending on the type of service you offer. Moreover, what you’re going to provide you and classify your beauty parlor type that depends on the service. Well, let’s know the steps to start a beauty parlor business in Bangladesh. You must not neglect this very first step because a business plan is very important. What you should include in a business plan are few important points like available funds, monthly rentals, products, target customer etc. Moreover, you have to clear concept of getting a license and permits. Besides, as it’s essential to the business, the standards of health, cleanliness, safety, security are widely monitored under licenses regarded. But, it’s pivotal to client upholding and assuring to maintain quality standards. It’s location that aspires to set shop in along with the surrounding areas and overall local mentality of the place. This is because of the factors like environment, cultural or social methodology and overall stability. If you find a location with good foot traffic, that will be an ideal place for your beauty parlor business. Also, you have to ensure parking space for two and four wheelers. But, setting businesses in such places would not give any form of success if you lack parking space. Not only you need to have a specific aim but you must have the sorted list of services as well. That’s why it could be better creating a syndrome of available services. Moreover, you should be specific as to what varieties one offers and how in a haircut, for example. So, it’s important to make a price and packages list what it entails. Also, you have to give customers a clear idea as well as for self-clarity about the various types you serve. When you’re with a beauty parlor business, you must need a wide range of raw materials. What you need for the business is as effective furnishing to placing of the chairs and tables with a special focus on mirror placement. Along with some other materials, such as scissors, beauty kits, stools, herbal products, natural ingredients etc. So, you must have to buy these products for the best quality material at cheaper and affordable prices. It’s vital for the beauty parlor business to have efficient staff in an operating budget with good knowledge and skills. As untrained ones can cause health problems like rashes, acne to the clients, hiring a qualified and trained professional is essential. Also, before hiring them, it’s important to do a background check. That’s why before advising clients or performing an operation, one should understand the procedure and know its pros, cons, benefits and after effects if any. Those who know their job and are not rude, badly dressed and do not pay heed to customer specifications are the most important and efficient staff. There are chances likely for things to go bad through word of mouth if a client is unhappy. This is because staffs must be welcoming, kind and understand the customer requirements. Not only for the beauty parlor business but marketing is the powerhouse of all types of businesses. This is because a marketing strategy determines the kind of offers, combo packs of related services, printing of pamphlets and the name as well. So, it considering the fact everyone’s requirements are different what makes it unique is the amount of personalization. The prime motive of customer satisfaction is another thing to consider for this business. If you want to create an effective after sales operation, you should aim to build loyalty brick by brick. That’s why sending frequent messages about offers, promotional packages, couple discounts, group discounts, college-friendly packages and other rebates are the part of after sales. This way you should strive to create a bond through complacent messages and complimentary packages.